Discover the man behind the chocolate bar! 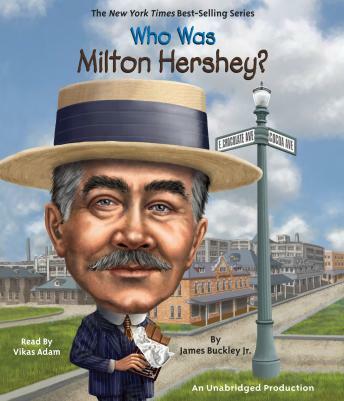 Milton Hershey’s life was filled with invention and innovation. As a young man, he was not afraid to dream big and work hard. Eventually, he learned the secret to mass-producing milk chocolate and the recipe that gave it a longer, more stable shelf life. He founded a school for those who didn’t have access to a good education and an entire town for his employees. Both his chocolate empire and his great personal legacy live on today.